Indian Army Result 2019: Below are the latest results published by Indian Army - Indian Army / www.joinindianarmy.nic.in. The recent result announced by the organization is Bharatpur Rally Nepal Dec 2018 Result 2019. Indian Army Bharatpur Rally Nepal Dec 2018 Result 2019: Indian Army has announced the Result on 18 Apr 2019 for the exam . Indian Army JCO Religious Teacher Result 2019: Indian Army has announced the Result on 31 Mar 2019 for the exam . Indian Army JCO Religious Teacher Result 2019: Indian Army has announced the Result on 30 Mar 2019 for Indian Army JCO Religious Teacher Exam 2019 which was conducted on 24 Feb 2019. Indian Army B.sc Nursing Result 2019: Indian Army has announced the Result on 26 Mar 2019 for Indian Army B.sc Nursing Exam 2019 which was conducted on 13 Jan 2019. Indian Army ARO Amethi Result 2019: Indian Army has announced the Result on 20 Mar 2019 for Indian Army ARO Amethi Exam 2019 which was conducted on 24 Feb 2019 to 20 Mar 2019. Indian Army ARO Bareilly Result 2019: Indian Army has announced the Result on 20 Mar 2019 for Indian Army ARO Bareilly Exam 2019 which was conducted on 24 Feb 2019. Indian Army ARO Pithoragarh Meerut Result 2019: Indian Army has announced the Result on 20 Mar 2019 for Indian Army ARO Pithoragarh Meerut Exam 2019 which was conducted on 24 Feb 2019. Indian Army ARO Agra Meerut Result 2019: Indian Army has announced the Result on 20 Mar 2019 for Indian Army ARO Agra Meerut Exam 2019 which was conducted on 24 Feb 2019. Indian Army ARO Almora Meerut Result 2019: Indian Army has announced the Result on 20 Mar 2019 for Indian Army ARO Almora Meerut Exam 2019 which was conducted on 24 Feb 2019. Indian Army RO HQ Lucknow Meerut Result 2019: Indian Army has announced the Result on 20 Mar 2019 for Indian Army RO HQ Lucknow Meerut Exam 2019 which was conducted on 24 Feb 2019. Indian Army ARO Meerut Result 2019: Indian Army has announced the Result on 20 Mar 2019 for Indian Army ARO Meerut Exam 2019 which was conducted on 24 Feb 2019. 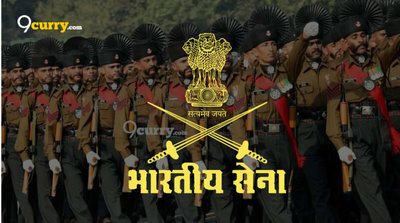 Indian Army ARO Varanasi Result 2019: Indian Army has announced the Result on 20 Mar 2019 for Indian Army ARO Varanasi Exam 2019 which was conducted on 24 Feb 2019. Indian Army HAV SVY Auto Carto Result 2019: Indian Army has announced the Result on 19 Mar 2019 for HAV SVY Auto Carto Exam 2019 which was conducted on 24 Feb 2019. Indian Army HAV SAC (SER) Result CEE 24 Feb 2019: Indian Army has announced the Result on 19 Mar 2019 for Indian Army HAV SAC (SER) Exam CEE 24 Feb 2019 which was conducted on 24 Feb 2019. Indian Army Banglore Zone Result CEE 24 Feb 2019: Indian Army has announced the Result on 15 Mar 2019 for Banglore Zone CEE Exam 2019 for SOL GD, SOL TDN, SOL TECH, SOL TECH DRESSER which was conducted on 24 Feb 2019. Indian Army MRC Wellington Result CEE 24 Feb 2019: Indian Army has announced the Result on 14 Mar 2019 for Indian Army MRC Wellington Exam 2019 which was conducted on 24 Feb 2019. Indian Army ARO Mumbai Result CEE Feb 2019: Indian Army has announced the Result on 11 Mar 2019 for Indian Army ARO Mumbai Exam CEE Feb 2019 which was conducted on 24 Feb 2019. Indian Army ARO Nagpur Result CEE Feb 2019: Indian Army has announced the Result on 11 Mar 2019 for ARO Nagpur CEE Exam 2019 for SOL TECH (NA), SOL TECH DRESSER which was conducted on 24 Feb 2019. Indian Army ARO Kolhapur Result CEE Feb 2019: Indian Army has announced the Result on 11 Mar 2019 for Indian Army ARO Kolhapur Exam CEE Feb 2019 which was conducted on 24 Feb 2019. Indian Army ARO Aurangabad Result CEE Feb 2019: Indian Army has announced the Result on 11 Mar 2019 for Indian Army ARO Aurangabad Exam CEE Feb 2019 which was conducted on 24 Feb 2019.